This week's offering of blogthulhu starts with a simple premise: the traditional D&D dungeon is a type of workflow. It offers nodes and processes and decision points, and the players navigate these decision points to reach their final destination - the boss fight, the big treasure, the answer to the quest - whatever goal that inspired them to choose this dungeon in the first place. 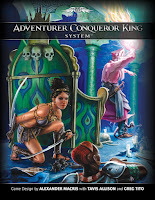 The dungeon as an adventure setting is such an enduring fixture because it provides a great degree of choice and agency for the players, within a limited structure that even a new DM or game master can handle well. You could step back from a dungeon and map it out like a flow chart, and realize it looks an awful lot like an investigative scenario. To drive the point home, I went ahead and mapped out a few signature investigative scenarios as dungeons! 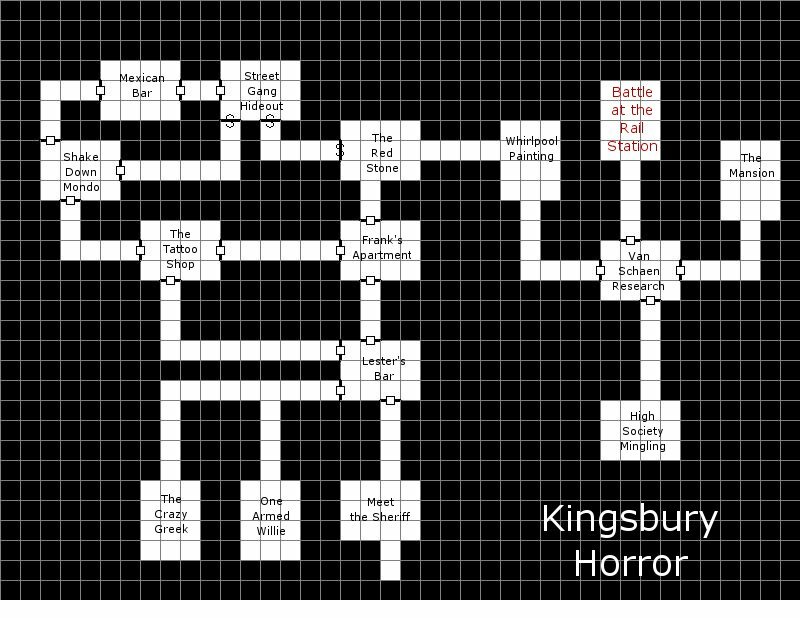 Sit back and enjoy as we send our adventurers into The Haunting and The Kingsbury Horror. 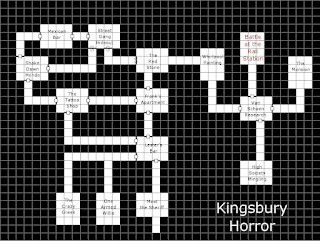 The Haunting has appeared in just about every edition of Call of Cthulhu as a sample investigation, and The Kingsbury Horror appears in Trail of Cthulhu. Spoilers abound - you are warned! In The Haunting, the players are hired by a landlord to look into problems at a rental property - seems like the last tenants ended up in the nuthouse! The place indeed has a sordid history, as a quick jaunt to the library or newspaper records will reveal, and if the group follows up these threads all the way through, they may even discover an old cultist's hangout at the abandoned Chapel of Contemplation and find their first Mythos tome. 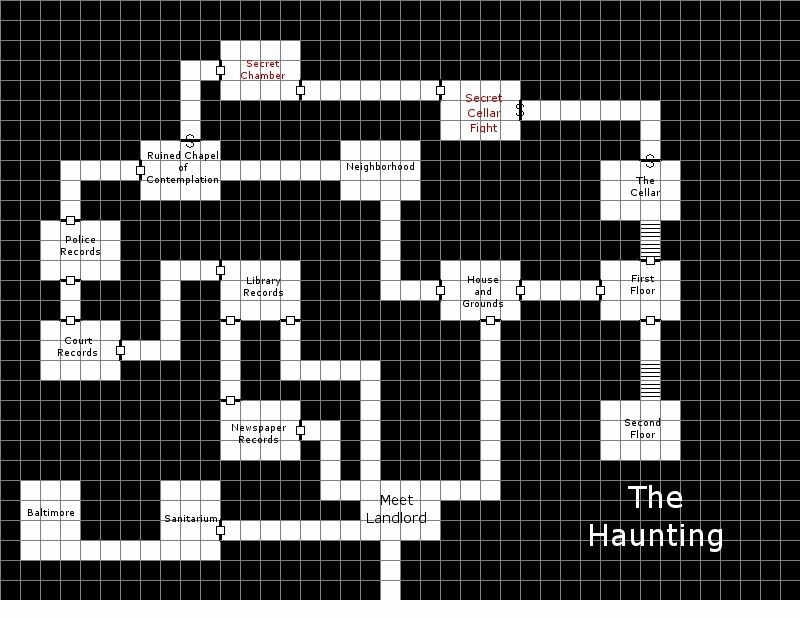 Note how a group might choose to go right to the house (the right path), move from exploring the first floor, to the cellar, and find the secret chamber leading to the resolution of the scenario. I've seen folks decry that the players can "solve" the investigation without going through each and every potential research point in a linear fashion. Bah! Before critiquing The Haunting, let's take a brief look at The Kingsbury Horror. The Kingsbury Horror is the sample scenario in The Trail of Cthulhu book. It involves the investigators acting as consultants to the sheriff, helping to find a serial killer during an election cycle. But this is Cthulhu gaming, so naturally the serial killer is a cultist! Much fun ensues. Like The Haunting, there's an investigative path on the right side of the "dungeon" that can lead to the resolution fairly quickly; once again, that's a feature, not a bug! However, The Kingsbury Horror adds an important element to the mix that The Haunting is missing - "wandering monsters". Wandering monsters, you say? In 1930's Cleveland? There are a number of floating events, such as a nosy detective, breaking news around additional killings, or "time slips" as the weirdness mounts, that can sidetrack the investigation, or increase tension as the players realize they're running out of time. I'm just being a bit cheeky in calling them wandering monsters, but the effect is similar. It's a simple element to add, but these events transform the investigation into a much more dynamic environment. Folks frequently ask how to make The Haunting into a better adventure, and that's the first thing I'd suggest - add in some variable encounters that bring the surrounding area to life. It could be suspicious gangsters or street thugs, nervous about the investigators casing the neighborhood; it could be a hobo or squatter trying to camp out in the abandoned house and yard; it could be a beat cop asking a lot of questions and checking the investigator's references. One of my favorite ideas is to have the landlord find new renters, and press the players to cut their investigation and quickly give the house the all clear so he can move a lovely young family in there… while they know something is still very, very wrong there! I enjoy both of these scenarios because they offer multiple paths to navigate the scenes and reach a resolution - I recommend both of them highly. The Kingsbury Horror gets that extra edge due to the pacing and sense of building menace the Keeper can achieve by interspersing variable events. Good stuff. 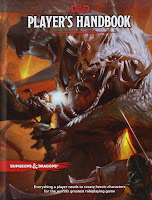 I'm reading a Cthulhu campaign book right now that has lots of "this NPC is too important to die, don't let the players kill him/her", and "the players need to trust and like this other NPC for the adventure to continue", and that kind of stuff , and it makes me reach for the heartburn medicine. Don't do that, people, don't make Beedo nuts. Games can feature powerful NPCs giving directives; that's how life works. What is not okay is mandating that the players need to act or feel a certain way towards an NPC because of a preconceived story the Keeper wants to implement. Next week we'll look at the design advice offered in the main rule books. 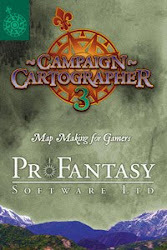 This series of articles started as a top-down approach to setting up a Cthulhu campaign - but one that can be managed like an investigative sandbox - so it seems only fitting to top it off with an original campaign framework at the end. That's in the works, and it'll become my default go-to setting for both Cthulhu one-shots and campaign play (at least with my regular group). I'll wrap up this series with that setting in a few more weeks. See you next time! Excellent post. I am in the process of mapping out a mystery adventure and this kind of visualization is very helpful. Andreas, I want to wait until I've read the whole campaign before declaring writing it off as too much of a rail road; it's had some good bits. But that NPC mandate was a bit much. Yeah, I bet there are good parts. Many older (and some newer) campaigns takes work for a more modern Keeper. There are often good ideas, but not that well executed. This is one of the most important "of Cthulhu" posts I've ever read. Thank you! That's some really good advice right there. Excellent. Now I have a great link to put up on my blog and some food for bloggy posts.